At the reservoir today, the crucians I'm catching are getting bigger though, this one was 1lb 12oz. Short and sweet, I've some burgers to flip. I love fishing the evenings after work, as someone who spends hours sat on ones backside throughout the day designing insignificant plastic bits for cars it's a Godsend. With the kids in bed and the Wife watching CSI or something 3 or 4 hours fishing at a local venue is a must for me, breaks up the week and tops up the vitamin D.
The reservoir was the venue for today, for those that have a Leamington Anglers Association book it's a must fish venue, when the fish are feeding it's hard to beat. I planned to fish till just before dusk for the big Crucians and I also brought my carp surface set-up to try and winkle a carp out. 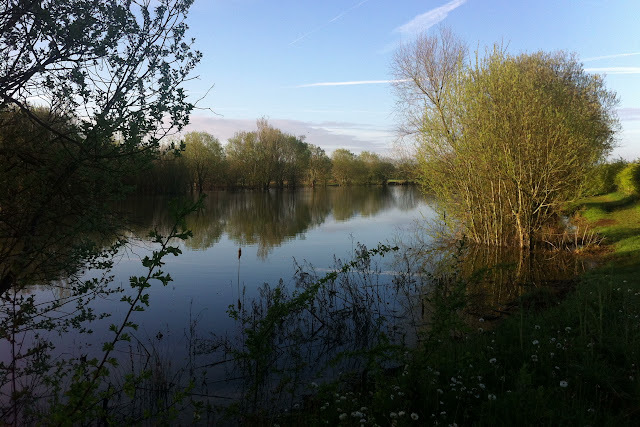 When I arrived a couple another angler was just moving his stuff to the favoured peg I planned to fish, he was also surface fishing for the carp. 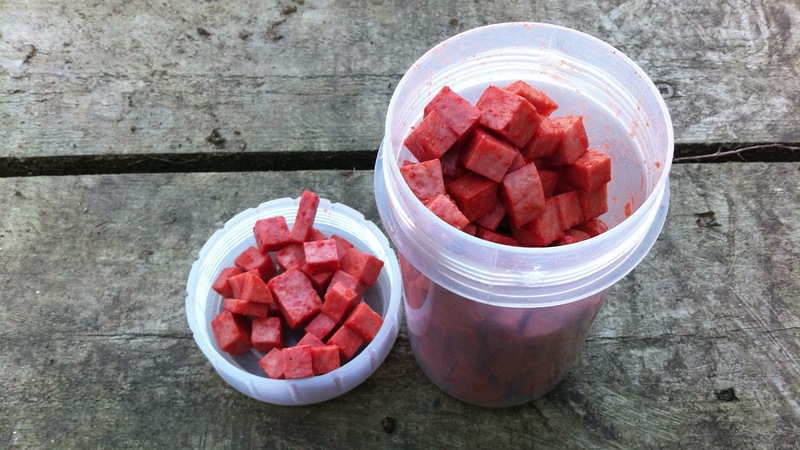 Small cubes of garlic luncheon meat seem to tempt the bigger fish, for added attraction I flavour it with Sonubaits spicy sausage powder. I was fishing just off the rod tip and the float didn't take time to settle before it sailed under, this was no Crucian but one the many many reservoir bream, they also like a bit of spam. 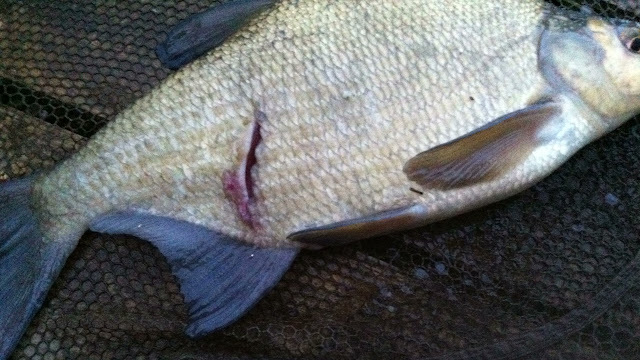 The second bream I caught had a large wound in it's side, it was a decent size fish, maybe a pound a half, one of the many resident Grebe's with eyes bigger than it's mouth ? 5 more bream later I decided to give the float rod a rest and switched to the carp set-up. 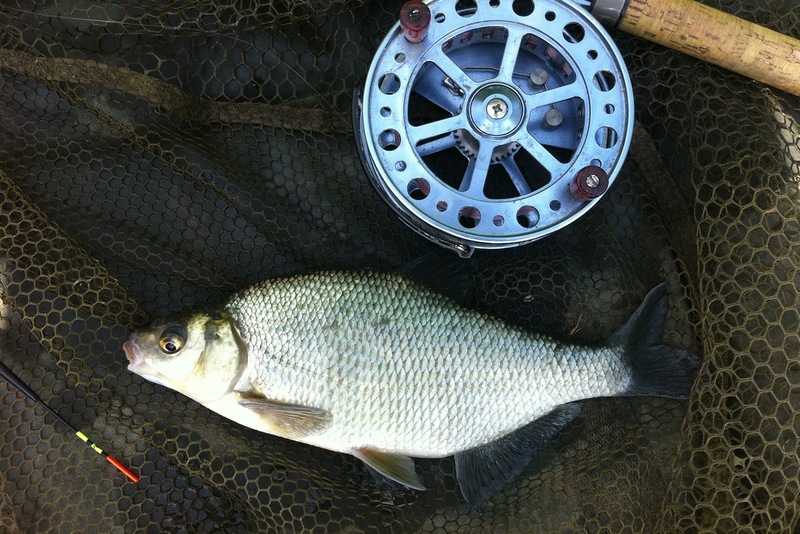 No Crucian's yet but some nice size bream which are a pleasure to play on the centrpin. 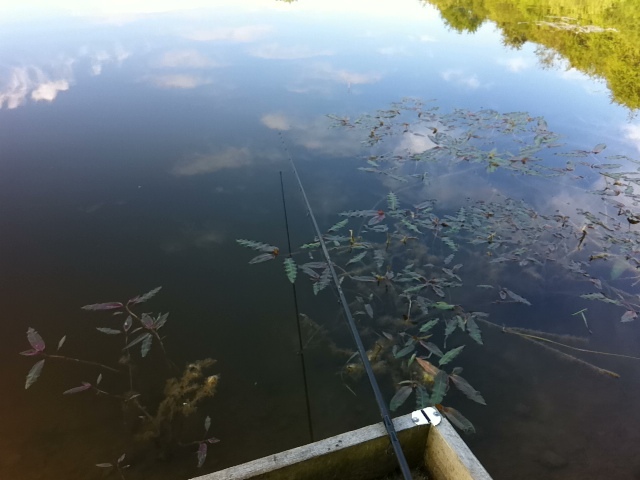 Whilst fishing the float I was catapulting dog biscuits a few rod lengths out to try and attract the carp. Not many moving but still fish topping and slurping at the weed beds so there was a chance of catching one. The reservoir isn't a venue where the carp anglers sit behind their buzzers all day, so there isn't piles and piles of high protein boilies being added to their buffet table, a good thing in my book as it keeps their natural nice slender shape. I set the trap just off a weed bed where I noticed some carp rising to take the big biscuits, with the bubble float full of water I've found there isn't a need to strike when the bread crust has been woolfed down, the fish tend to hook themselves on the weight of the hook. Takes can be savage when the carp realises he has been hooked so I activate the reels baitrunner for that added security. 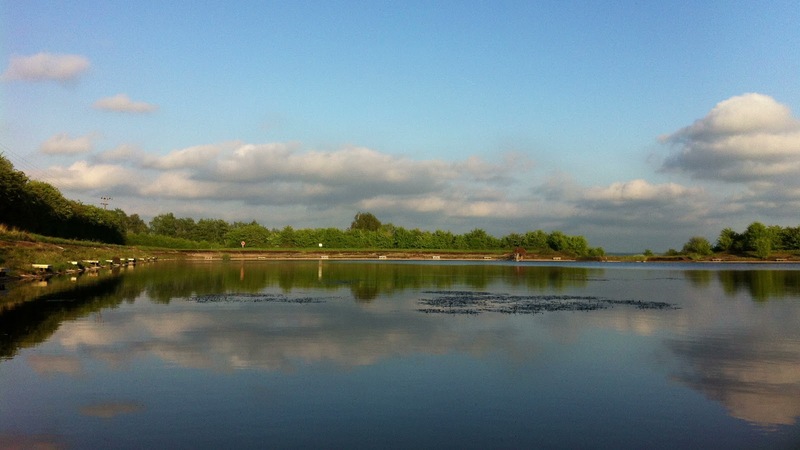 It didn't take long before there was a huge disturbance in the water and the reel was screaming off. They are not college pool fit but they do fight well these carp but within a few couple of minutes I had it in the net, a big scaled mirror. 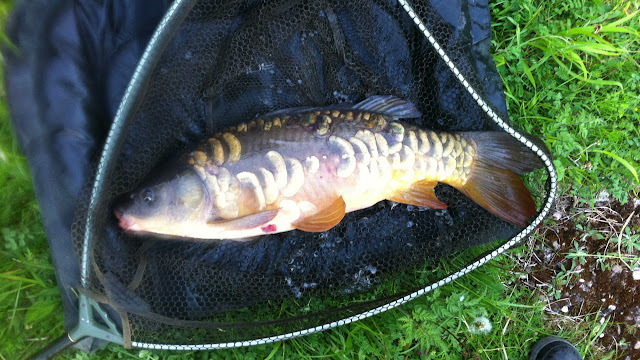 Not one of the big ones but very welcome all the same, I didn't weigh it but looked around 11 or 12 pound. 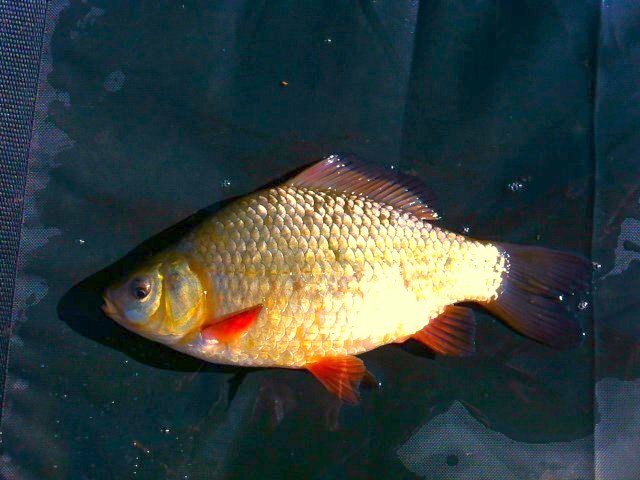 With the swim disturbed and the remaining angler vacating my favoured swim I moved for the last half an hour to try for a decent Crucian. 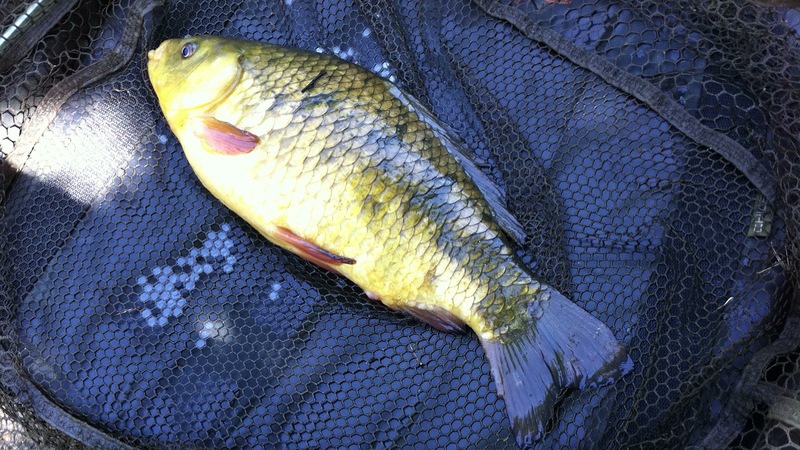 You can tell Crucian bites and in the swim I had lots of them, I sadly couldn't connect to any fish though. With the river season nearly upon us, my time on still waters are dwindling but I'm hoping to still get a few more sessions in. I was stupidly busy last weekend and didn't even make it to the bank, yesterday though a trip to the reservoir was on the cards to try and catch a decent Crucian. 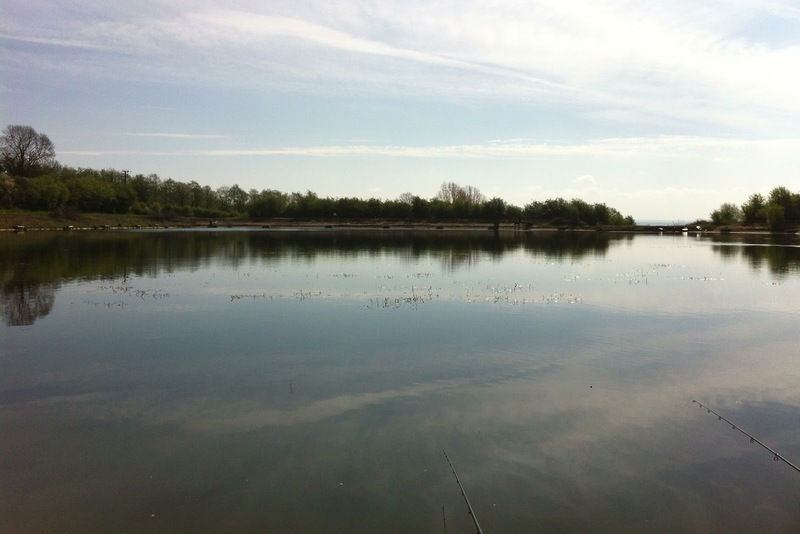 I was the first to arrive on the bank and dumped my tackle at my swim of choice, there is lots of weed just in the margins, and lots of cover the Crucians seem to like. My favored method was to fish a very sensitive float fished slightly over depth just as the shelf drops off. I had prepared some small cubes of garlic spam the night before and these were flavored with sonubaits spicy sausage flavour shaker. 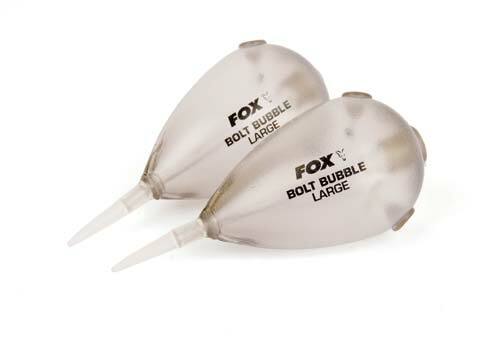 These WERE going to be used with a quickstop on hair but as I left them at home I had to use an alternative hook bait. I had some mixed worms in my bag so I cut of the quickstop and these were going to be mounted straight on the hook. I knew the weather was going to be half decent and with the water warming up so I also brought a carp rod with a fox bubble float. Whilst they were hovering up the chum mixer free offerings and distracted, a big chunk of bread crust would be cast into the swim, hopefully without them knowing. 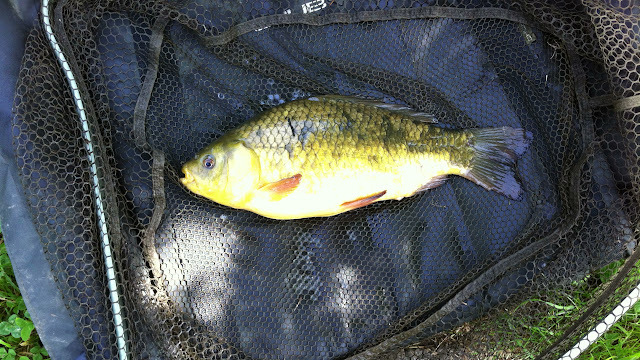 I caught well on the float, quite a few Perch, some lovely condition Roach but only managed a small Crucian carp. For it's size it give a good account for itself though, even had the ratchet going on the centrepin. 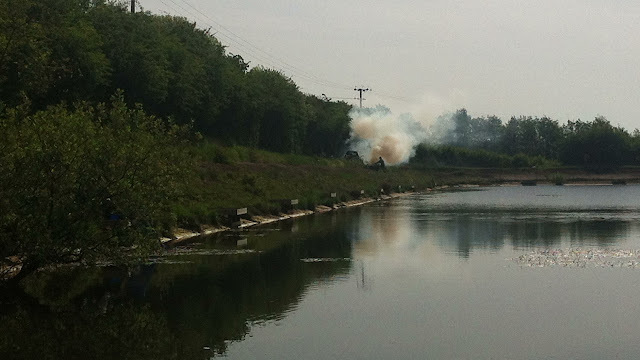 I was catapulting throughout the morning dog biscuits and the carp started to show on the surface just as the Leamington Anglers work party has arrived to finish the bank clearing. I reckon the big grass carp was mooching about too, as a stupidly long and lean fish was showing from time to time in the swim. The try to give the carp some confidence so my first cast was sometime after they started feeding. The trap was laid and within a few seconds a big mouth engulfed my bread crust offering. How I didn't connect God only knows but the bubble float came firing back without a fish attached. I added more water to the bubble float this time and was hoping that would have a bolt rig effect and hopefully more or less self hook the fish against the weight of the float. It took half an hour before the fish returned and this time they came in numbers, again after gaining confidence in the free offerings another large piece of bread crust was cast out, this time though after the heart in mouth moment that you get with surface fishing, a carp swallowed up the bread, felt some resistance and made a run for it. 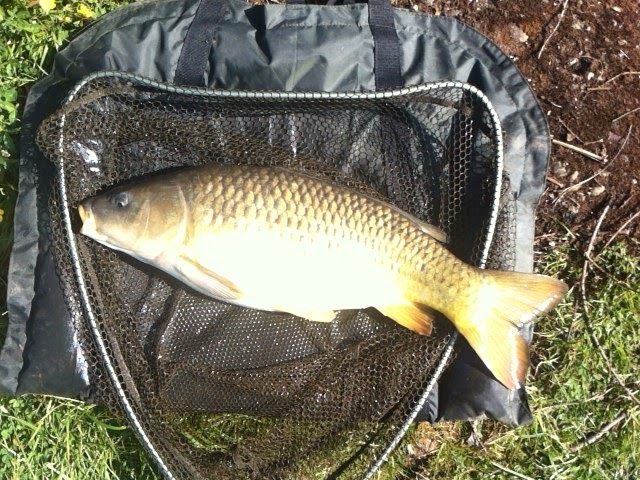 An arm aching fight and it turned out to be a nice lean common, a nadger under 12lb and as always, in great condition. There is nothing more rewarding and exciting when catching a decent carp when surface fishing, it's a great method, even though it can be frustrating at times. 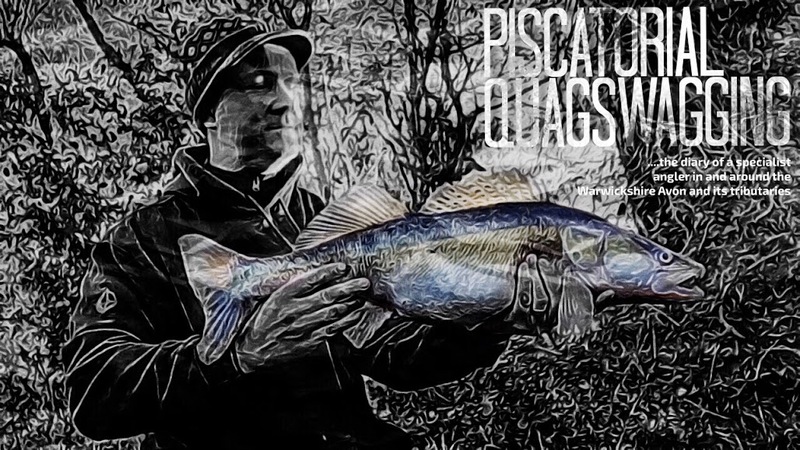 I've always done better for the Crucians in the evening so hopefully this week with the weather improving I'll have another try for a specimen and maybe that elusive grass carp. It was a frustrating day otherwise. I must have emptied the lake of it's small Perch, I had hundreds of the buggers on my float, maggot and centrepin set-up. 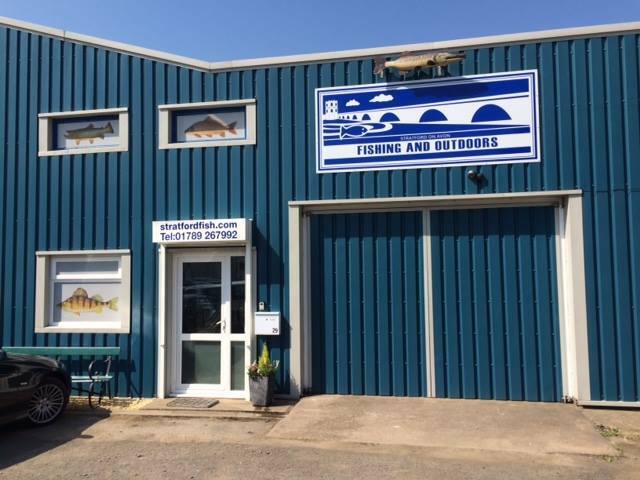 I was the first angler to arrive at the pool, when I left at midday it was the busiest I have ever seen it, the other anglers were not fairing that well either. 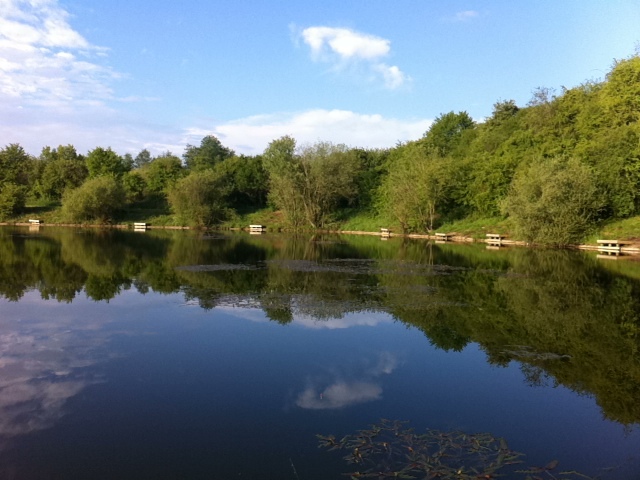 The following day I went for a morning at Snitterfield Reservoir, I don't usually fish it during the day, in the summer, of an evening I prefer fishing in the margins on the shelf for couple of hours of or surface fishing baits for the carp. I had some maggots and worms left over though so the plan was to fish them on the float and also fish a sleeper rod with sbs corn boilies. 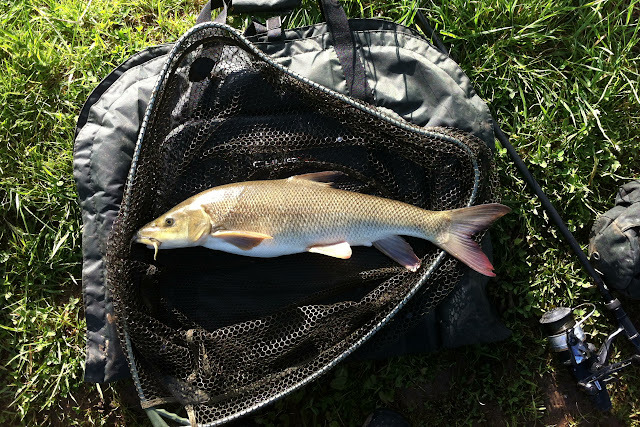 I've found when the fish are moving fish a rod length out, shallow, maybe 3 or 4 foot and feed maggots, loads of them and you will get the fish feeding. You will get stupidly fast bites and these are from small roach, ignore them because you will inevitably miss them but wait for the float to properly dragged under. Within 5 minutes of the sleeper rod settling the baitrunner screamed off and I was playing a fish, it's always interesting what you will catch at Snitterfield as it has some fantastic quality fish, could be a big roach, a specimen crucian carp or one of the resident carp. 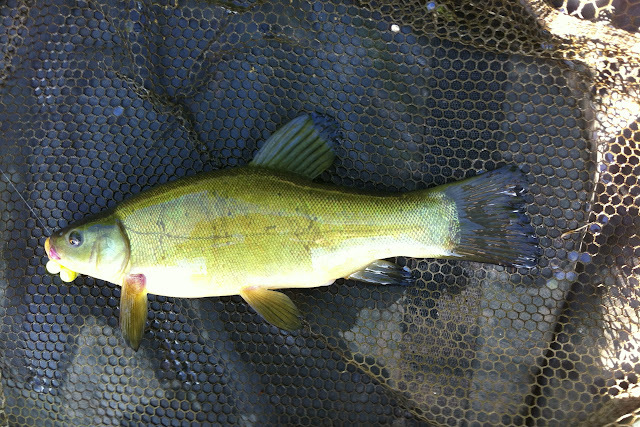 It turned out to be a small Tench of a 1lb or so, and in the bright sunlight there isn't a better looking fish. I only stayed for a few hours but the float never settled, lots of topping fish enjoying the sunshine and if I hadn't have run out of maggots and I had my keepnet with me I'd have started to bag a new full. 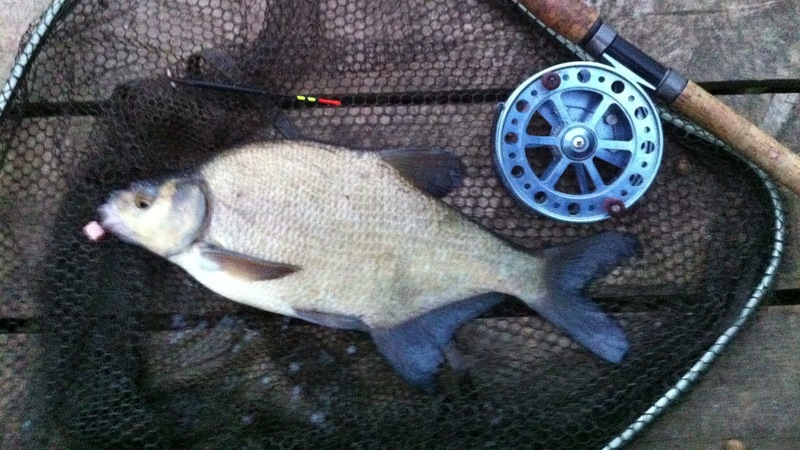 The bigger fish were bream around the 1lb mark and I also caught a few crucians. The bigger crucians are being caught according to Twig the balliff and as the days are getting longer I'm going to try a few evenings to try and catch one of the specimens.